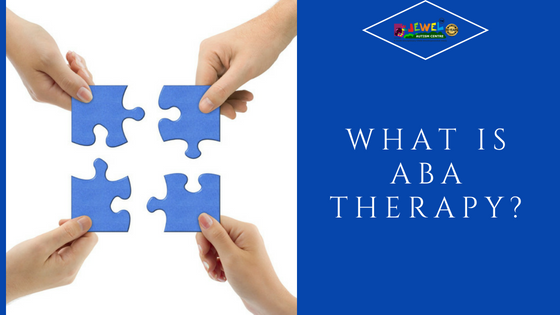 What is ABA Therapy? Applied Behavior Analysis (ABA) is the use of behavioral techniques and principles to bring about meaningful and positive changes in behavior. Behavior analyses focus on the principles that explain how learning takes place. Through the decades the field of behavior analyses has developed many techniques for increasing useful behaviors and reducing those that may cause harm or interfere with learning. ABA therapy sessions involve one-on-one interaction between the behavioral analyst and participants. Discrete trial learning – It is based on the understanding, that practice helps a child master skill. It is a structured therapy that uses a one to one teaching method and involves intensive learning of specific behaviours. Incidental teaching – It is based on the understanding that it is important to give real life meaning to skills a child is learning. It includes a focus on teaching skills in setting where your child will naturally use them. Verbal behaviour – It is somewhat similar to discrete trial training, it also focuses on structured intensive one to one therapy. Verbal behaviour therapy is designed to motivate a child to learn language by developing connection. Pivot response training – It is loosely structured intervention that relies on naturally occurring teaching opportunities and consequences. The focus of pivot response training is to increase motivation by adding components such as turn taking, reinforcements attempts and interspersing maintenance tasks. Natural language paradigm – Is based on the understanding that learning can be helpful by deliberate arrangement of the environment in order to increase the opportunities to use language. Teach skills to replace problem behaviours. Increase positive behaviour and reduce interfering behaviour. Maintain self-controlled and self-monitoring behaviours. Change response to your child behaviour. Increase child’s academic, social and self-help skills. Improve ability to focus on tasks and motivation to perform. Helps to improve cognitive skills. Generalize or to transfer behavior from one situation to response to another. You did a really good research, i like the article. Nice write up, informative article.